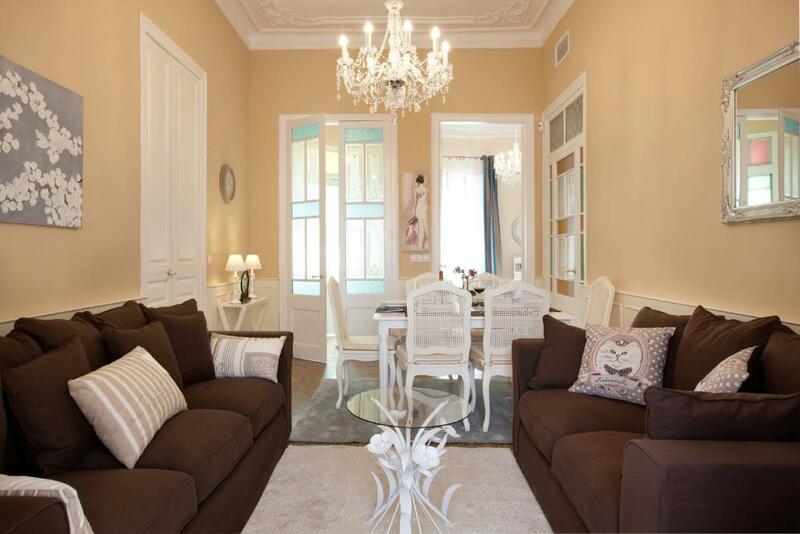 Lock in a great price for Villa Modernista – rated 9.5 by recent guests! Located in the Horta-Guinardó district in Barcelona, 1.1 mi from Sagrada Familia and 1.3 mi from Park Güell, Villa Modernista features an equipped accommodations with an terrace and free WiFi. This self-catered villa features a private pool and a garden. The villa features 4 separate bedrooms and includes a kitchen with a dishwasher and a dining area. The air-conditioned villa also offers 2 bathrooms with a bath or shower. The villa offers an outdoor pool. Villa Modernista provides BBQ facilities. 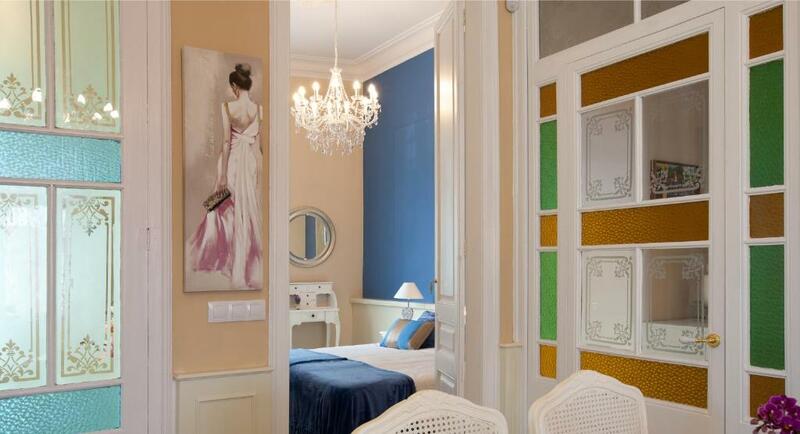 La Pedrera is 1.8 mi from the accommodations, while Casa Batllo is 2 mi away. Barcelona El Prat Airport is 9.9 mi from the property. When would you like to stay at Villa Modernista? This villa has a seating area, sofa and toaster. This stunning modernist house from 1904 was renovated in early 2015 in keeping with its original features (high ceilings, mosaic floors, and coloured china closets) and modernising the kitchen and bathrooms with current fixtures and fittings. It is close to the Sagrada Familia and Saint Paul's Hospital, and well connected by metro (Lines 4 and 5) and by bus. It is a stone's throw from the old town and the beach with supermarkets (including Carrefour), restaurants, and shops in the surroundings. On entering through the hall, you come to the living/dining room with two couches, and a table with extension for enjoyable dinners. Having gone through a small gallery overlooking the garden, you come out to a large terrace with garden furniture and crystal pergola and stairs that lead you to the garden with fruit trees, aromatic plants, and a private pool. Enjoy the fresh air on the hammocks and outdoor sofa. On each side of the living/dining room, you can find the four bedrooms. One has a double bed, two features two beds that link together, and the fourth has a single bed. There are two bathrooms, one is comprehensive with a bath/shower and the other, smaller, offers a shower and a WC. The villa has been in the owner's family for several generations. The person attention and renovations have served to adapt it for modern comfort while highlighting its modernist architectural features. The house itself its great architectural beauty and its garden make a peaciful heaven in the bustling city. 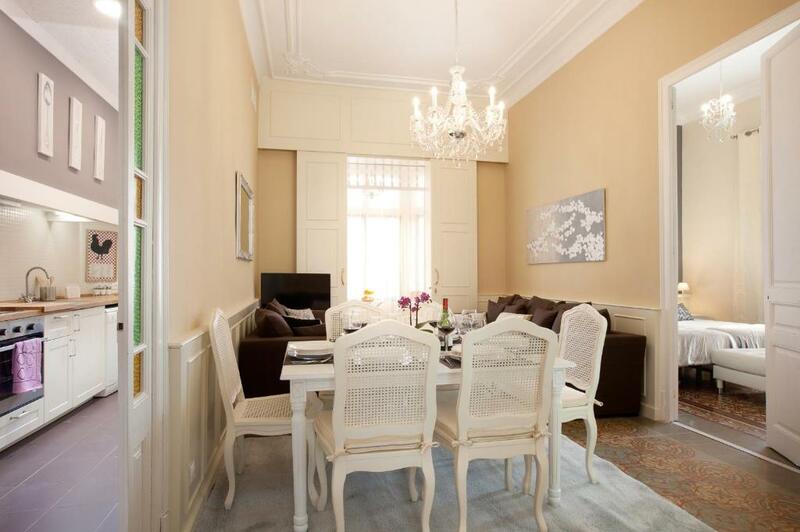 This is one of the few villas in Barcelona's beating heart with a private garden and a sun terrace. 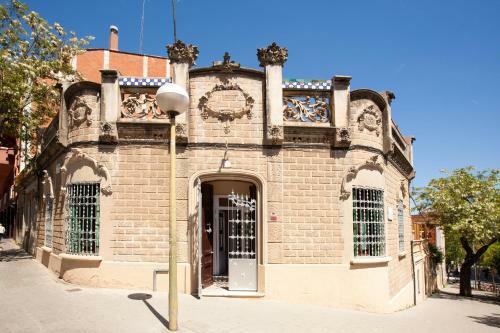 You are only a few minutes from the historic centre, the monuments, the shopping centres, and more besides, using the nearby metro station, servinf lines 4 and 5. House Rules Villa Modernista takes special requests – add in the next step! Villa Modernista accepts these cards and reserves the right to temporarily hold an amount prior to arrival. 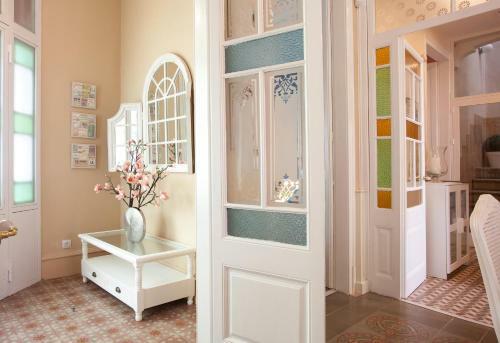 Please inform Villa Modernista of your expected arrival time in advance. You can use the Special Requests box when booking, or contact the property directly using the contact details in your confirmation. 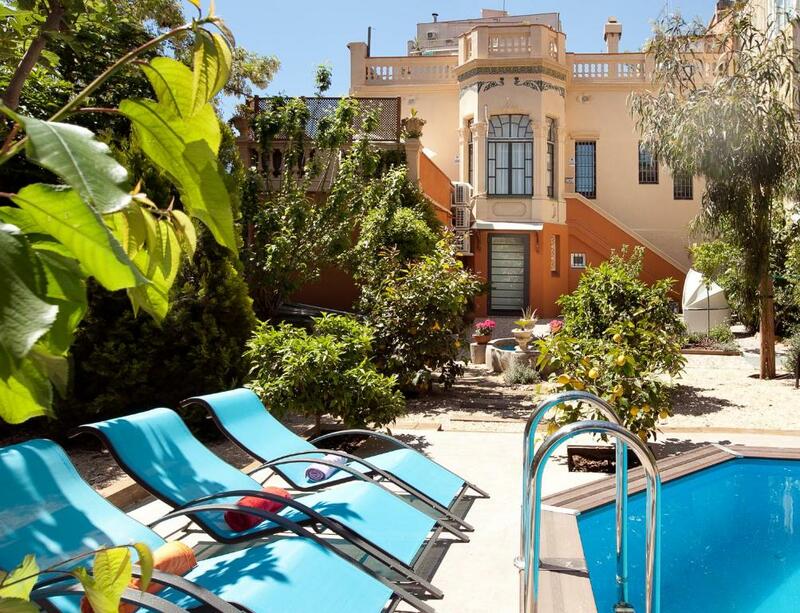 Everything was just more then we expected the owner was very welcoming and showed us the local facilities couldn't of asked for anything more, the pool was cleaned daily the house was just unreal and decor and size would defiantly recommend this.